It is a well known fact that hungry students cannot learn! 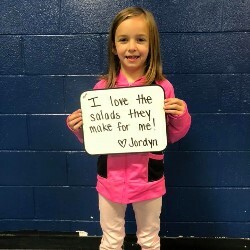 Students who practice healthy eating are better nourished, have better attendance, are more attentive, have less discipline problems, and have more energy. What better reason could there be to have your child participate in our National School breakfast and lunch program. Nutritious, well-balanced meals are offered every school day in all of our schools. Webster County Schools Food Service employees have been well trained in sanitation and safety, quantity food preparation, menu planning, meal requirements, record keeping, personnel management, merchandising, and other related areas. They are experts in their fields. Please feel free to stop in and visit anytime. School breakfast provides a serving of fruit, milk, and either, 2 servings of grain, or 1 serving of a meat and grain. School Lunch provides a serving of meat, fruit, vegetables, grain, and milk. Serving sizes vary by grade group to ensure students' nutritional are met. Webster County School District operates all school cafeterias under the “Offer vs. Serve” provision, which is mandated in high school and recommended for elementary. Offer vs. 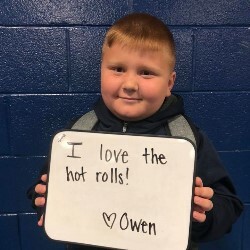 Serve allows us to offer students a variety of foods to choose from within a menu, rather than serving five required menu components with no alternate choices or the choice to decline an item. This practice prevents waste because students will select and consume foods they like, which is preferable to serving students food they do not like and will often throw away.